Seguidilla From "Amar y ser amado y la divina Philotea"
Seguidilla From "Para obsequio a la deydad, nunca es culto la crueldad, y Iphigenia en Tracia"
Seguidilla From "Vendado es amor, no es ciego"
Canción From "Viento es la dicha de amor"
. . . the disc's highlight is countertenor Bejun Mehta's poignant and beautifully controlled reading of Porpora's aria "Alto Giove" from "Polifemo" -- Neapolitan opera at its most exquisitely lyrical. Concerto Köln, under the dynamic baton of Pablo Heras-Casado, offers . . . taut and spirited playing . . . There's infectious fun from a battery of tinkling percussion and an extrovert wittiness of phrase in excerpts from "Baile de las máscaras" by Francesco Corradini . . . [while Nicola Conforta's] overture to "La festa cinese" gets proceedings off with a colourful bang . . . Concerto Köln's zesty punchiness is a good fit for the dynamism of conductor Pablo Heras-Casado -- nowhere more compellingly than in CPE Bach's vibrant "Fandango" Sinfonia in E minor.
. . . [all the pieces] are beautifully played by Concerto Köln . . . [both performances of Mehta] are breathtakingly lovely.
. . . the individual numbers are terrific, the conducting flamboyant and the playing punchy and suave . . . [Poropora / "Alto Giove"]: Bejun Mehta is ravishing . . .
. . . the dynamic Spanish conductor teams up with HIP veterans Concerto Koln for a zesty, eclectic programme of mostly instrumental music . . . Thoroughly addictive, with the CPE Bach E minor Sinfonia "Fandango" worth the ticket price alone.
. . . thrilling music-making . . . [Heras-Casado] is in his element here. The performances are outstanding: the orchestral items receive vigorous interpretations, with healthy expressive qualities in the slow movements. Bejun Mehta is a fine and sensible singer with a good feeling for the style of the repertoire. He delivers a very engaging performance of the "fandango" by Nebra . . . I enjoyed Mehta's account of Porpora's aria "Alto Giove" . . .
. . . [Mehta]: einer der stimmstärksten und bühnenwirksamsten Counterhelden . . . [Heras-Casado]: [ein] Meister barock inspirierter Klangrede . . .
. . . Pablo Heras-Casado entzündet bei alter, neuer und romantischer Musik spanisches Feuer . . . [eine] fulminante CD . . . Concerto Köln spielt diese Musik auf Nachbauten alter Instrumente gepfeffert und mit Extra-Paprika wie eine mallorquinische Chorizo. Die Fandangos und Seguidillas versetzen einen in allerbeste Sommerstimmung . . . [dann ist da noch das rauschende Kastagnetten-Duett "Vendado amor es, no ciego" von José de Nebra, das der Counter Bejun Mehta] mit sich selbst singt: Wer da nicht unverzüglich in beste Laune verfällt, dem ist nicht zu helfen. Vor allem die Seguidillas von José de Nebra, aber auch die Ouvertüre von Juan Marcolini machen [richtig Spaß] . 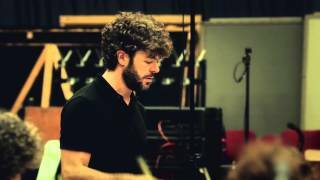 . .
Watch a trailer for Pablo Heras-Casado´s new album "Farinelli". 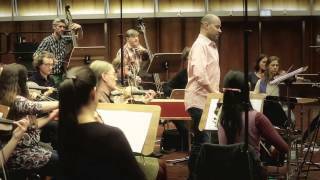 Pablo Heras-Casado, "one of the most exciting conductors of his generation" (Die Welt), makes his Archiv Produktion debut performing instrumental and vocal music associated with Farinelli, the legendary 18th-century castrato who served as impresario and court musician to the kings of Spain. This new album with works of Baroque composers like Hasse, Porpora and Jomelli represents a fine selection of pieces and features eight world premier recordings, including some arias sung by Bejun Mehta, "the best countertenor in the world" (Süddeutsche Zeitung). 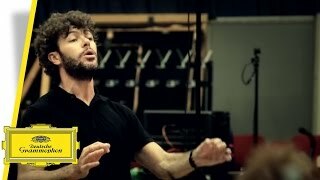 Watch an excerpt "Alto Giove, è tua grazia" from Pablo Heras-Casado's new album "El Maestro Farinelli". 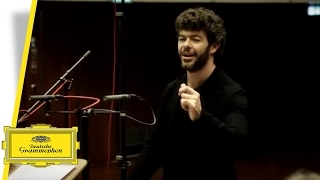 Watch an excerpt from Pablo Heras-Casado's new album "El Maestro Farinelli". Watch an excerpt "Vendado es amor, no es ciego" from Pablo Heras-Casado's new album "El Maestro Farinelli".